If you have been arrested in the Fish Hawk communities located in Lithia Florida and as a result of the arrest you were charged with DUI you will need an experienced dui attorney to protect your rights. A Fish Hawk DUI is a serious matter. Florida’s laws on driving under the influence are strict. If you have been charged with a Fish Hawk DUI, protect yourself by getting a Fish Hawk DUI lawyer. The dui attorney you hire can help plan the best defense for your case. If this is your first offense, you may face maximum jail time of six to nine months depending on your blow. There is a license suspension for 180 days to a year, mandatory imposition of 50 community service hours, and a minimum fine of $500. As a first time offender, you have options. If the circumstances are right, there may be programs available to avoid jail time. Sometimes criminal charges will be dropped altogether. A Fish Hawk DUI attorney can walk you through your options, so you can reach the best possible outcome for you and your situation. Even a first time dui puts you at risk for a jail sentence. It’s important to get a DUI lawyer in Fish Hawk to help you through the legal process. Even if you’ve blown over the legal limit there is hope. Several courts in Florida have thrown out Intoxilyzer results when the dui attorneys in Fish Hawk have brought valid motions as to the credibility. When considering the dui lawyer in Fish Hawk to represent you make sure they have experience in challenging the DUI breath test. When it comes to dui lawyers, Fish Hawk residents have several choices. The DUI attorneys Fish Hawk residents choose should be the most experienced. DUI cases are complicated, so don’t go it alone. You can’t afford to risk the time and expense a dui conviction brings. The attorneys of Finebloom, Haenel & Higgins have extensive experience handling complex dui litigation. Contact us now to schedule a free consultation. 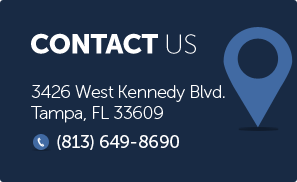 Out attorneys are available 24/7 by calling 813-200-4412.